Read 4 times. Last read June 15, 2010. 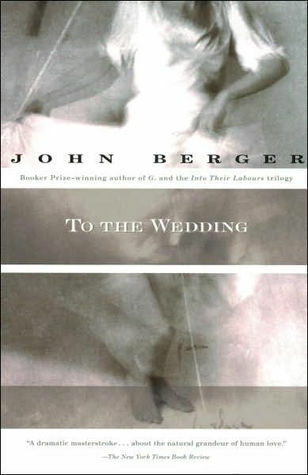 A sublime, moving and tender novel about love, life, hope, consolation and the soon foreseen death of the bride due to AIDS. The main storyline of this small novel tells the story of the two parents of the bride - estranged for many years - travelling "To the Wedding"; the novel finishes at the wedding celebration. The mother of the bride meets a co-passenger in a bus. The co-passenger says that the bridegroom has never learned to count. The mother interrupts: "If he sells clothes at a streetmarket, I'd have thought he could count!" "Prices, yes, consequences, no", says the co-passenger. In my opinion the bridegroom is fully aware of all the consequences. This small novel deserves to be reread every year as a reminder what life is, and as one of the answers to the question: "Why don't people learn to live". Recommended, especially the edition with the introduction by Nadeem Aslam. Sign into Goodreads to see if any of your friends have read To the Wedding.